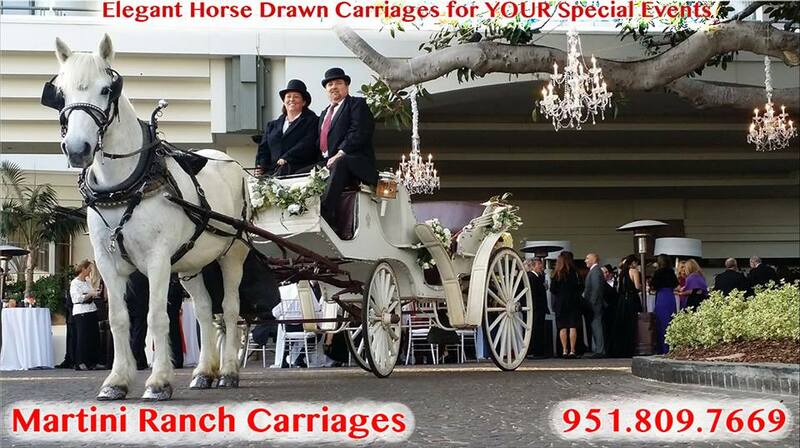 Contact us to make YOUR special event unforgettable! 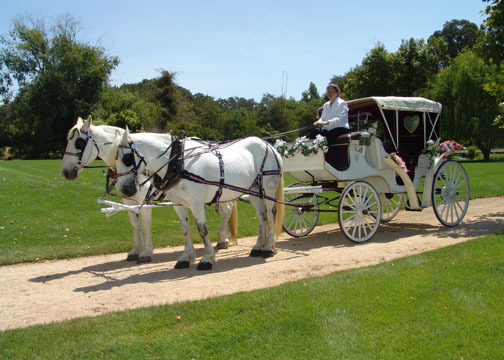 Hire our white horses and traditional white wedding carriages for Weddings, Domestic Partner Celebrations, Quinceañeras, Birthday Parties, Proms, Proposals, Parades, Mother’s Day, Valentine’s Day, Company Parties and much more. Winner Press-Enterprise Readers’ Choice Best Place to Propose! 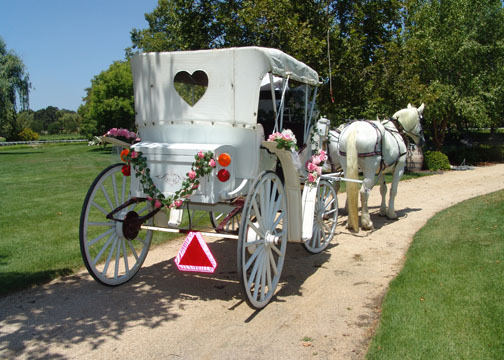 Everyone says “YES” in the carriage! Orange County, the Inland Empire, Riverside, the Mission Inn Festival of Lights, Los Angeles County, San Bernardino, Santa Ynez Valley and San Diego County. Click HERE to ‘LIKE’ our Martini Ranch Carriages Facebook page. We have a Unicorn available for Children’s Birthday Parties! 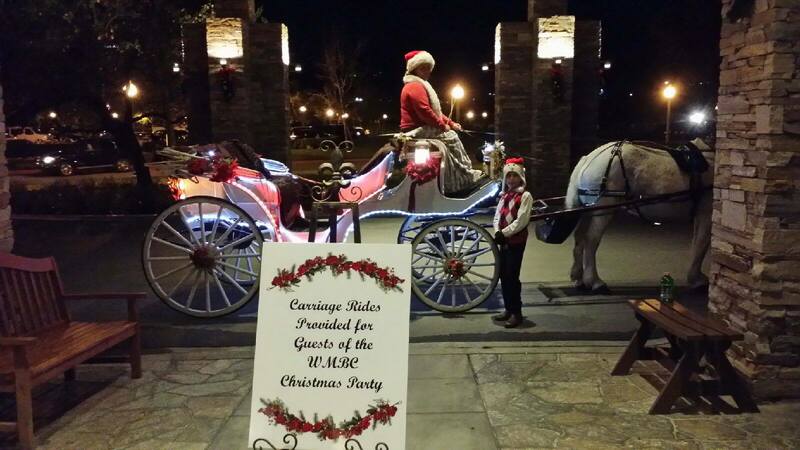 Be sure to see our Recent Carriage Job Photos page for more photos of us in action.